If you're in Edinburgh today - 6 September - you could do worse than popping into Waterstones for 'A special crime fiction evening, as authors Tony Black, Russel McLean, Allan Guthrie and Michael Malone discuss their recent books.' Free booze, too. Writer Graham Smith has put together a weekend of crime writing courses at The Mill Forge Hotel in Scotland, 8-10 March 2013 from £75 per day. There will be four sessions and budding authors will get the chance to pitch their novel directly to an agent. Those involved include Matt Hilton, Sheila Quigley, Allan Guthrie and publishing guru Inga McVicar. Sounds great,eh? Find out more here. 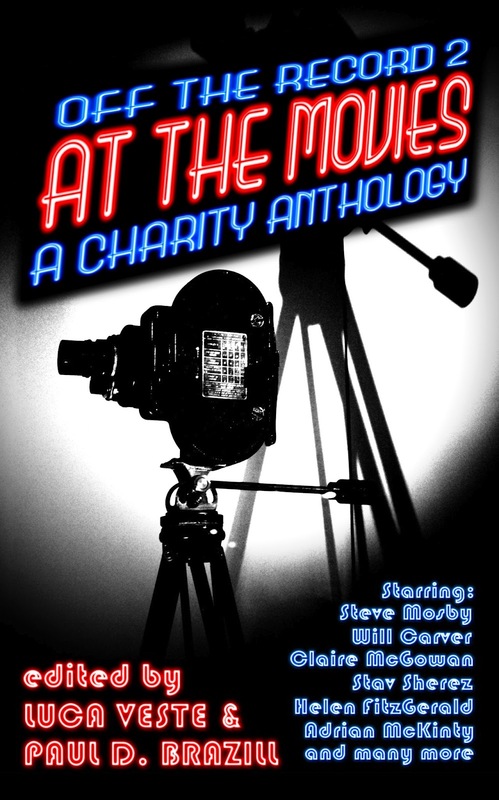 Luca Veste has announced the cast list - and the fantastic cover by Steven Miscandlon - for Off The Record 2 - At The Movies. 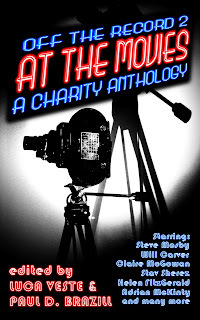 There are a cracking bunch of writers involved in this charity project, including Steve Mosby, Matt Hilton, Adrian McKinty, Nick Quantrill, Patti Abbott and Maxim Jakubowski. Have a look here for more information. Speaking of cracking covers, We Are Glass the forthcoming short story collection from U V Ray looks beaut. Out in January from Brit Grit publishers Murder Slim Press. And speaking of short stories, Chris Leek has a great bit of flash fiction over at Spinetingler Magazine, called Party Favours. And finally, as well as Amazon, the eBook of Richard Godwin's Apostle Rising is also available from Xin Xii and from Kobo. The eBook version also contains a series of noir short stories and a clip from Godwin's second novel, Mr Glamour. Spinetingler Award nominee Paul D. Brazill has had bits and bobs of short fiction published in various magazines and anthologies, including The Mammoth Books Of Best British Crime 8 and 10,and he has edited two anthologies : True Brit Grit – with Luca Veste - and Drunk On The Moon. His short ebook collections 13 Shots Of Noir and Snapshots are out now, and his novella The Gumshoe will be out pretty soon. His blog is here.